This one day course is designed to help you with overcoming loading issues, such as refusal to go into the trailer or anxiety whilst in there. You will learn how to effectively use the Dually halter, a training head collar designed by Monty Roberts, teaching the horse to come off pressure and willingly enter the trailer. You will be taught the importance of timing and how to effectively use your body language to gain the best results. We will also discuss horse psychology, to help you understand why the horse may be reluctant to go in and solve any other problematic issues your horse may have with the trailer. 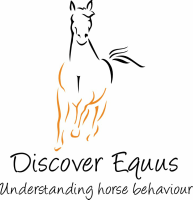 If you are interested in participation in a loading course, please contact Anna at discoverequus@gmail.com to discuss dates.